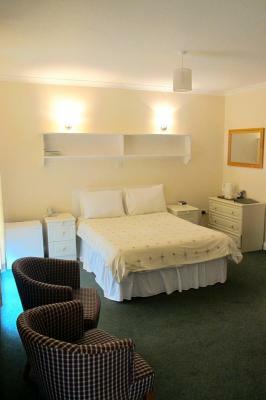 Lock in a great price for The Prince Of Wales Hotel – rated 8.7 by recent guests! Loved the staff, location and the fact that the bus stopped right near the hotel. It was quiet and very relaxing. Always a plus to have a pub on the premises, too! Only had breakfasts there and they were very good..... lots to choose from. Nice room & friendly staff. The location was wonderful even if the weather wasn’t. 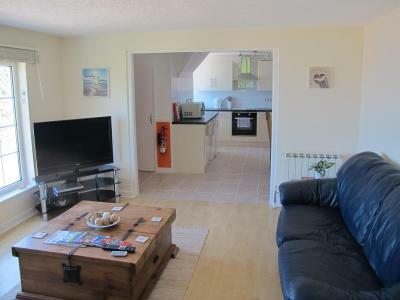 The breakfast was so fresh & well cooked + large..
Breakfast included with room (great full English Breakfast); short walk to beach and coastal hiking trails; friendly staff. Cozy, small pub with friendly local clientele. Very clean. Staff friendly. Excellent choice for breakfast. The cleanest hotel we’ve ever been to. Stuff we’re lovely and friendly . 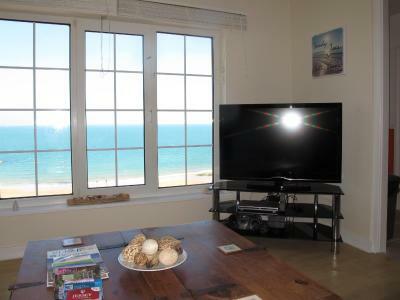 Great location too. The staff when we arrived were very nice and attentive, with the manager trying to make jokes and out us at ease. The bar and downstairs area was homely. There were great views of the bay from the restaurant, and also the deck, though it was raining when we were there. Breakfast was nice, and we thought our dinner was very good for the price. 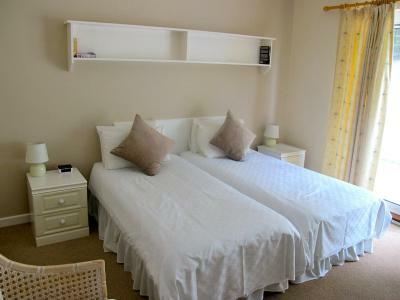 The Prince Of Wales Hotel This rating is a reflection of how the property compares to the industry standard when it comes to price, facilities and services available. It's based on a self-evaluation by the property. Use this rating to help choose your stay! 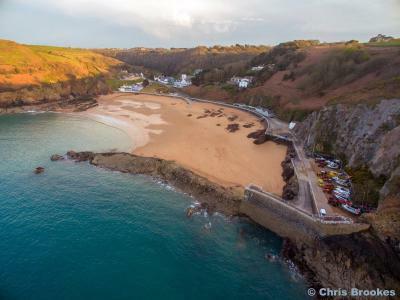 The Prince of Wales overlooks the beach of Greve de Lecq, one of Jersey's most beautiful bays, with its sandy beach and wonderful views over Sark and the nearby French coast. 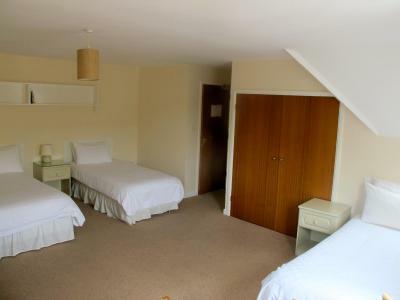 The Prince has been refurbished to a high standard, and has a friendly, relaxing atmosphere. 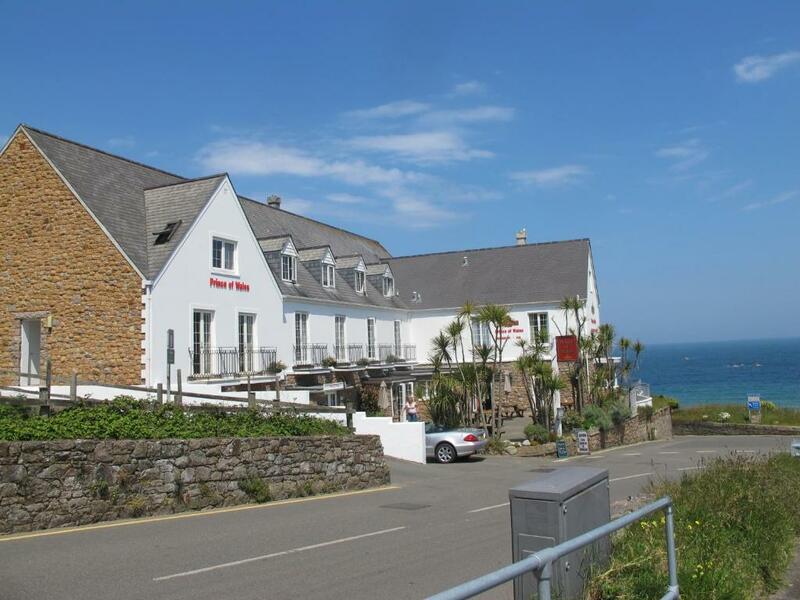 You can dine on freshly caught seafood in the popular hotel restaurant, overlooking the beach and sea. A bar is also available on the premises. 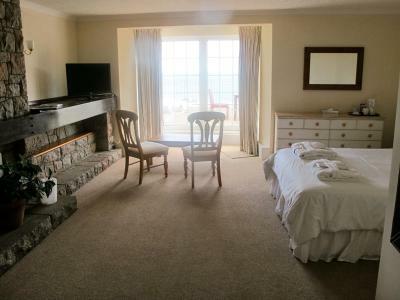 Some of the hotel’s rooms have a private patio and sea view. The Prince of Wales also has a residential patio area and a TV lounge. Transfers can be arranged to and from the airport. Guests at The Prince of Wales Hotel can hire bicycles and kayaks, at an additional charge per day. 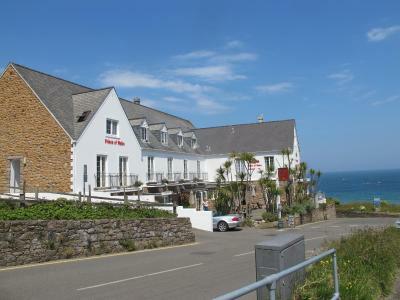 When would you like to stay at The Prince Of Wales Hotel? 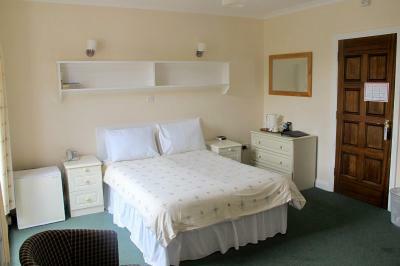 An private bathroom, tea/coffee making facilities, and a TV feature in this room. Sea view room may be available. 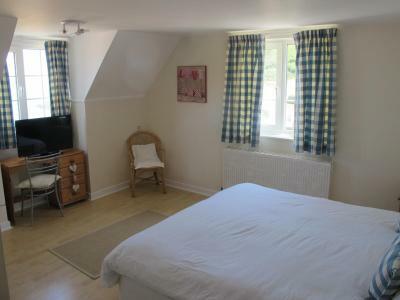 An private bathroom, tea/coffee making facilities, and a TV feature in this room with sea view. 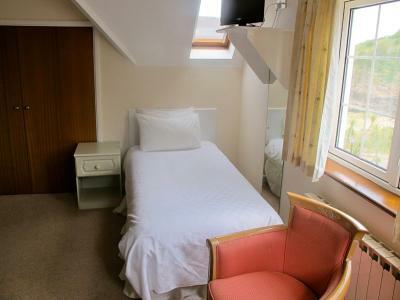 A spacious room featuring an private bathroom, tea/coffee making facilities, and a TV. 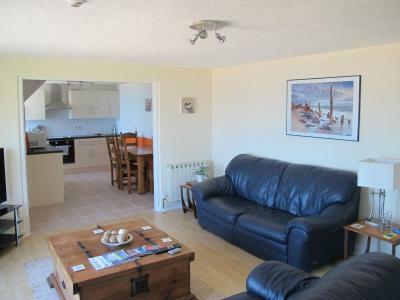 This 2-bedroom apartment features a sea view, oven and electric kettle. Having taken over the Prince of Wales in 2010 Nigel and his team have worked endlessly to build up the reputation we have today. 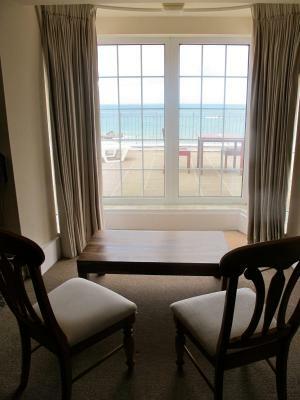 With newly renovated rooms, communal areas and terraces, there is always somewhere to sit and relax to watch the tide ebb and flow. We pride ourselves on serving the freshest local shellfish and fish, delivered daily from a multitude local fisherman. House Rules The Prince Of Wales Hotel takes special requests – add in the next step! The Prince Of Wales Hotel accepts these cards and reserves the right to temporarily hold an amount prior to arrival. Please note that the restaurant will be closed for dinner from December 2017 until February 2018. They didn’t have soya/almond milk or lactose free milk. The automatic light and fan in the bathroom - not good at all when the light goes out and it is pitch dark and you’re still in the shower. Unfortunately the restaurant wasn’t open on the second night of our stay, so we couldn’t try more of the menu. Rooms carpets could have been cleaner . Stairs a bit too tight for prams and no lift . Great breakfast , comfortable room , very friendly staff. 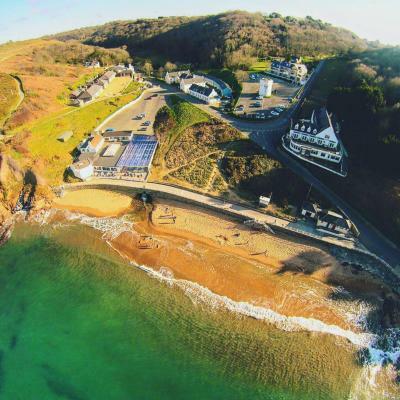 Location is great as just at the North coast of Jersey. Nothing you cab tinker with something that's 10 out of 10. The room was very roomy and comfy . 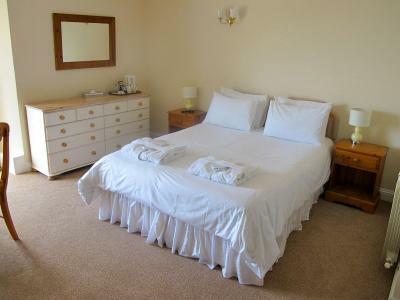 The bed was lovely everything replenished everyday breakfast was great . Shame the restaurant bar wasn’t open as it would have been a bit more comfortable. Hotter water in the shower. 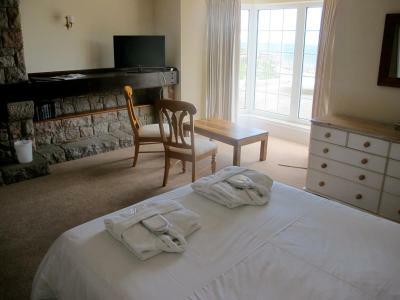 The views, the comfortable rooms, the staff. Pretty much everything actually. Lovely manager and staff, entrance to the hotel is about untouched since the 70s . 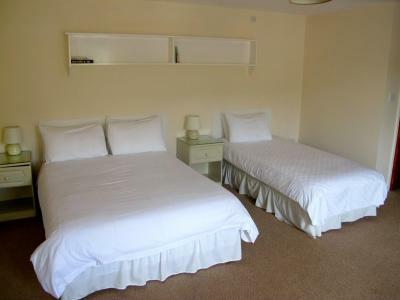 Room was nice and clean' bed double good size. Showing was not good as had to wait for water to get hot old shower, no pressure give up after a while. That was the only thing I can say. That they need to update there shower as was in a bath and not good for someone who can not lift there leg so high and a safety issue for someone not good on there feet. I would give it 3 star not a 4 only because shower a needs up dating soon. Only a very minor dislike was the poor water pressure for shower. 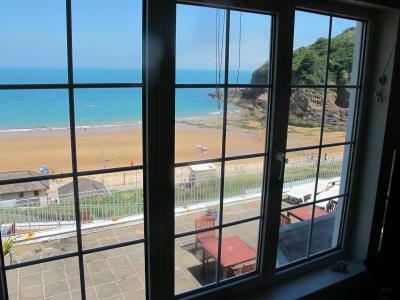 Location is excellent and our room (15) was lovely and clean and spacious with a balcony and patio ( shared) looking over the beach. Superb breakfast with lots of hot choice options. All the staff we met were lovely, very friendly and courteous. We were there over New Year and the restaurant was closed in the evenings so can’t comment on food for that. 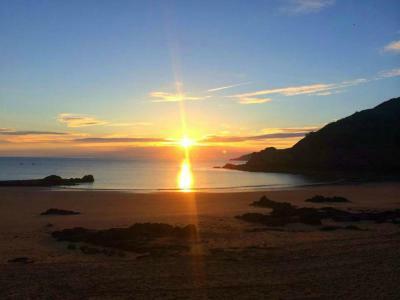 We had our 2 dogs with us and this was one of the reasons we chose to stay here so we could access the beach easily.